Procurement outsourcing burst onto the business process outsourcing scene with great promise, but it has changed of face in the last two years. While early deals delivered tactical benefits such as procurement operations cost savings, many companies are still not realizing the more substantial advantages that can be gained. In early procurement outsourcing deals, service providers did not consistently manage to deliver more substantial spend-related savings. With the cooperation of clients, they need to complete designing and deploy integrated, end-to-end, sourcing-to-settlement procurement processes – and be allowed to contribute experience and best practices. At the very least, the provider should be able to bring in an infrastructure (i.e. a pre-configured best practices platform, ideally with some procurement-specific services on top e.g. level-1 support and supplier onboarding) that would allow the client to focus on executing seamlessly. Technology utilization has a key role here and, while theoretically understood, is often a contentious ground - and in our experience requires more than a “business as usual” treatment. Basics first – and a home truth: procurement outsourcing success requires the CPO, COO and CFO to do their part - collegially. The only way theoretical savings negotiated at the sourcing level (which is where often CPOs incentives are confined) can be turned into actual savings is 1) ensuring compliance within the client company and 2) ensuring the results can loop back into strategic sourcing where the observation of the actual company behavior (what is bought, when, where, in what sizes) can provide additional levers to the category managers. Most of the remaining savings come from controlling one-off purchasing and vendor payments and from cost avoidance as a result of demand management and reduced costs of enterprise procurement activities (this is where the CFO and COO typically have a say). While companies can realize procurement outsourcing value by leveraging the provider’s economies of scale and labor arbitrage, process optimization (defined as processes and knowledge including securing category-specific knowledge and related usage) is the single most important lever. To maximize the impact of this lever a unified technology platform must support and consolidate sourcing and purchasing processes. A key aspect in securing procurement savings, compliance is ensured in the purchasing and ordering process. This can be accomplished by leveraging the use of procurement cards, approval and other workflows, as well as data analysis and reporting based on standard procurement reports within the business intelligence component. Strategic sourcing savings are obtained by enforcing stronger compliance, as the customer converts results from sourcing events into contracts and catalog items from which requisitioners can choose. Poor performance in activities such as one-off purchasing and problems like high costs of demand management and enterprise procurement activities (such as the cost of the procurement organization) can be addressed with internally hosted catalogs that contain only approved purchasing items (both goods and services) and respective vendor contracts. 1) Providers that are striving to deliver optimum procurement outsourcing solutions typically offer processes based on best industry practices and – in order to achieve that - have realized the importance of strong relationships with the software suppliers underlying their offerings to ensure effective design and execution of service delivery. BPO-specific implementations are different from typical system-integration jobs (due to the search for replicability leading to heavier templatization and multi-client architectural choices). For this reason such collaboration must go beyond a simple joint go-to-market effort, and must encompass service delivery design – so that the solutions are deployed in a way that they address the business problem and they are cheaper to implement and run. As an example, SAP has signed such partnership agreements with Accenture, Hubwoo, IBM, Infosys and Quadrem and spends a significant amount of resources in those activities. 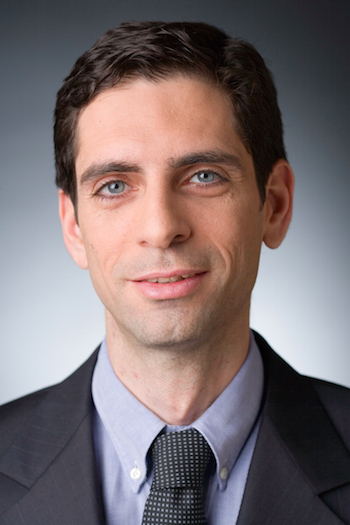 Gianni Giacomelli (pictured) is Director of global strategy and marketing for SAP’s BPO business unit. He previously worked as an outsourcing sourcing advisor for Everest Group in Europe.. This post is right on the money - thanks for sharing. How do you see the adoption of procurement deals over next year in light of the economic recession? Process optimization IS critical, but is more of a journey than an end point, and is an ongoing process that will not be entirely solved prior to or during the initial stages of the relationship. Standardization to supplier processes is always a "relative" proposition. In terms of optimization, it is important to set expectations for the long haul with the right governance structure in place to guide the journey. APQC and the Aberdeen Group did a benchmarking exercise on procurement sometime back. It was identified that 73% of the time and resource allocated for the procurement function goes into ordering materials and services. It was also inferred that about 32% of the cost of the procurement function is personnel and about 5% systems. The argument here is labour arbitrage and or outsourcing in the platform model in itself may not be the answer which will give the maximum bang for the buck in procurement process optimization. Hence smart CPO’s are looking at outsourcing as a strategic lever to re-architect the procurement process of an enterprise to deliver the following goals – 1)Reduce the cost of the procurement function while increasing efficiency of the function by implementing best practice processes. Benchmark studies say, procurement personnel cost per billion dollar of spend managed can be 10 times less in an enterprise with top quartile efficient processes. Purchasing process efficiency, measured by purchase order processed per FTE, CAN be almost 15 times better in the same top quartile operator. Here the enterprise can use an outsourced provider to manage end to end purchasing and let them be the “bad guys” to enforce a best in class process in driving down costs. 2)Supply base rationalization – This can be enabled by efficient spend and vendor performance analytics. In top quartile efficient procurement organizations 15% of suppliers contribute to 80% of spend. Partnership and close collaboration with such a small bunch of capable suppliers can help an enterprise lower their spend base for the same purchase value by upto 15% 3)Rationalizing Purchasing Arrangements – Research says arrangements like procurement cards account for only 2-5% of the overall addressable spend. 85-90% of the addressable spend are in individual purchase orders or blanket contract orders. Establishing spend visibility and spend control is the most tricky component here. Outsourced spend analytics and spend compliance reporting can play a great role here coupled with an outsourced purchasing function to enforce compliance. Outsourced purchasing if driven properly can contribute significantly towards increasing the adoption of controlled spend management tools like procurement cards while analytics can continuously assess their effectiveness for the enterprise and help retune interventions periodically. 4)Effective sourcing and benchmarking – Outsourced sourcing capabilities can address the most critical skill component, category expertise, very effectively. Category research when effectively done can reduce the dependence on time consuming and expensive sourcing event cycles. Effective CPO’s now say – “Do not source – Benchmark.” Spend benchmarking is all about knowing the enterprise spend, rationalizing it, identifying low cost supply options and continuously enriching that knowledge base to deliver value. Research says effective spend benchmarking can eliminate sourcing needs by upto 50-60% reducing procurement overhead costs significantly. A well architected platform option to deliver the above can help reduce total cost of ownership even further and improve cash flow with a pay per use model. An offshore onsite delivery model for such a platform option can put the best skill in the right place and leverage labour arbitrage to the hilt. A risk reward sharing model for engaging with the outsourced service provider can put some skin in the game and make it more rewarding for the supplier to focus on process optimization goals. The argument here is it is not labour arbitrage or outsourcing as a strategy itself which can deliver the goods, it is rather the way the CPO chooses to architect his process ecosystem around the outsourcing strategy that will determine significant reduction of cost and enhancement of effectiveness of the procurement processes of an enterprise. I think a big question that companies need to ask themselves is whether they have a solution on the table to manage services/goods spend, to reduce costs by effectively sourcing that spend, the rates with the suppliers and to streamline the process by, for example, automating the settlement piece. More and more companies have initiatives on the table to get something back. The other piece is risk mitigation. In terms of services procurement for example, the concept of co-employment where the contractor’s onsite working for more than a year, they usually need to let go of the contractors for some period of time, you can’t have contractors for years and never extend the benefits that you would to your full time employees. You have SAP/Oracle who have BPO initiatives for certain product lines and what they have tried to do is to make available to the customers an availability to not only buy a product license, but also to engage with their procurement partner to offer On – Demand access to some of their applications. The procurement service providers, as a BPO partner to SAP/Oracle, are not only able to host and manage the applications from SAP/Oracle but they have also put on top of it some value-adds both from a technology standpoint as well as from a process standpoint. As a BPO partner, the procurement service providers enable SAP/Oracle to Go- To- Market with On Demand solution for procurement which includes the base product, the technology they have put on top of it and services they have put around that solution. BPO solutions that cut across procurement functions, normally require process knowledge that can be shared across delivery staff and technology. How easy is it to transfer these processes to two separate suppliers, whose staff work in separate locations, work for different organizations with different cultures and may not be overly familiar with each others' technology platforms? Your BPO services are only going to be as good as the people delivering them, so you need to know your provider is investing heavily in ongoing quality improvements, enhancing the technology on an ongoing basis, and constantly developing its personnel. I like partnerships where two parties set aside budget to co-invest in developing a platform, or jointly establishing a delivery center, as opposed to opportunistic arrangements set up for competitive purposes to win deals. Procurement BPO has been a tougher sell to companies, with the challenges of moving work into low-cost locations and transitioning unique expertise sets in distinct category areas over to third-parties providers. The business case for procurement BPO is based on future savings from managed spend, not on immediate savings from the bottom-line through moving hundreds of positions offshore. Moreover, procurement is one of those functions which has, in many firms, been cut to the bone, and the only means to find new avenues of optimization is through having better technology and access to skilled staff, who normally reside in the regions where the procurement transactions take place. Most companies moving into procurement BPO today are often motivated by the fact they have already outsourced transactional finance work, have become experienced with outsourcing, and want to take a longer-term and more strategic view of managing their global sourcing mix. Many current BPO discussions are being dominated by the broadscale ITO/BPO suppliers pushing harder for bundled IT and business process options. In Procurement outsourcing it is important that the BPO partner has a strong technology backbone to be able to optimize and integrate the discrete applications that are running within the client enterprise across various platforms and versions. (This is in specially true in case of companies who have grown through M&A activity). The vendor needs to have experience in working with Fortune 1000 companies in the Enterprise Solutions space and should have Centers of Excellence (CoEs) dedicated to various ERP solutions. This will help the BPO vendor seamlessly integrate the various ERP instances running across different geographies within the client enterprise, can look at deploying its proprietary tools and components on these systems and synchronize them with BPO vendor's technology platform where required. Increasingly, you will see enterprises outsourcing procurement to vendors who have the above expertise in place and are able tp provide tangible business benefits.